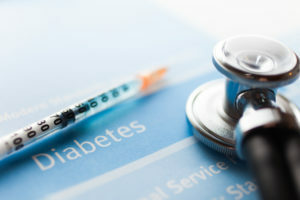 Diabetes is one of the leading causes of morbidity and mortality in the United States, and it affects approximately 26 million Americans, as a diabetes doctor Overland Park, KS trusts can explain. The estimated medical expense for diabetes in both direct and indirect costs are as high as $250 million annually. As is the case in most medical conditions, an ounce of prevention is worth a pound of cure, and here at LifeWorks Integrative Health our nutritional counselors specialize in optimizing one’s dietary needs to treat this devastating disease. Why is controlling my blood sugar so important? Diabetes is one of the leading causes of morbidity and mortality in the United States, and it affects approximately 26 million Americans. The estimated medical expense for diabetes in both direct and indirect costs are as high as $250 million annually. As is the case in most medical conditions, an ounce of prevention is worth a pound of cure, and here at LifeWorks Integrative Health our nutritional counselors specialize in optimizing one’s dietary needs to treat this devastating disease. This should illustrate the vital role that well-controlled blood sugar has on keeping you healthy. How can I treat my diabetes? A visit to the diabetes doctor in Overland Park, KS will help assess just how much intervention you require for your diabetes. However, any Overland Park, KS diabetes doctor will tell you that the first line of treatment for Type II Diabetes (far more common than Type I Diabetes) is lifestyle change, which begins with improving and optimizing your diet. This is where the nutritional counselors at LifeWorks Integrative Health can make a huge impact on your life. What can the nutritional counselors at LifeWorks Integrative Health do for me? – Goal and plan creation – everyone has a different body, genetic make-up, health history, and goals, and therefore at LifeWorks Integrative Health we recognize that one size definitely does not fit all when it comes to nutrition. Our experts will perform various assessments and measurements during the very first visit to assess your goals, and establish a realistic nutritional plan to make those goals a reality. – Customized meal planning – based on our assessments, we will develop an idea of your current body composition, and use the most recent scientific literature to develop a nutritional plan optimally suited for your needs. – Store-to-plate training – we can offer delicious recipes that challenge the idea that a healthy diet must go hand-in-hand with unsavory, tasteless food. Furthermore, we connect these recipes to what you actually need to purchase from the grocery store, as well as how much, so that you don’t find yourself wasting your valuable money and time. At LifeWorks Integrative Health, we believe that nutritional counseling isn’t just a way to treat medical conditions such as diabetes. It is a way to fundamentally change one’s dietary lifestyle to achieve improved results in all areas of life. Call LifeWorks Integrative Health to set up an appointment with one of our nutritional counselors today. A visit to the diabetes doctor in Overland Park KS will help assess just how much intervention you require for your diabetes. However, any doctor will tell you that the first line of treatment for Type II Diabetes (far more common than Type I Diabetes) is lifestyle change, which begins with improving and optimizing your diet. This is where the nutritional counselors at LifeWorks Integrative Health can make a huge impact on your life. At LifeWorks Integrative Health, we believe that nutritional counseling isn’t just a way to treat medical conditions such as diabetes. It is a way to fundamentally change one’s dietary lifestyle to achieve improved results in all areas of life. Call a diabetes doctor Overland Park, KS relies on from LifeWorks Integrative Health to set up an appointment with one of our nutritional counselors today.